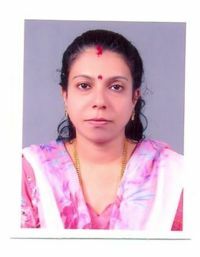 Occupation: Assistant Professor ,Computer Science , Acharya Narendra Dev College, India. My name is Anupreveen.I am a native of kerala,India. At present I am working in Department of Computer Science of Acharya Narendra Dev College as temporary Assistant Professor in University of Delhi.I have been into teaching undergraduate students since 2001. I had a brief stint inbetween with the industry for a period of one year and had an oppurtunity to be involved with a mission critical application runing SAP. This has enabled me to link my classroom teaching to real world application.I was introduced to the Wikieducator through a workshop L4C42 and L4C43 conducted at South Campus by Acharya Narendra Dev College. I strongly believe in the concept of Open education resources and free learning.This shall enable experts to create and upload e-learning material on the Web. Such a culture can foster an era of collaborative development of learning material with a wider reach. E-learning is of very great relevance to India where access to quality education is not within the reach of majority. E-learning is one of the many application of Information Communication Technology which can transform India into a knowledge economy. I did my Graduation from Madras University and thereafter did my post graduation in Computer Science(MCA) from Bharatidasan University. I did my M Phil from Alagappa University in 2008 and my M Phil dissertation deals with an implementation of the concept of Load Balancing in a real world application on a Distributed Computer system. My hobbies are collecting stamps of different countries.Apart from that I listen to Malayalam songs sung by K.S Chitra,Jyesudas.I love to cook different varieties of dishes. Was an active player in volleyball and Throwball during my college days. Description : With the new advancements in the field of computers and in a time when there is a boom in the IT industry, the University of Delhi has Introduced B.Sc (Hons) Computer Science, a three undergraduate course for the tech-savvy youth. The college is contributing in its own inimitable way to the development of Information Technology by offering this course with the help of efficient and highly qualified teachers and through a well-equipped computer lab. The course provides rigorous foundations of the concepts of Computer Science and Information Technology. In the final year, students also get an opportunity to do project work. Hence the combination of the concepts and training of software tools equip the students to adapt to ever-changing technology which is a requirement of the Industry. This page was last modified on 1 May 2009, at 02:02.